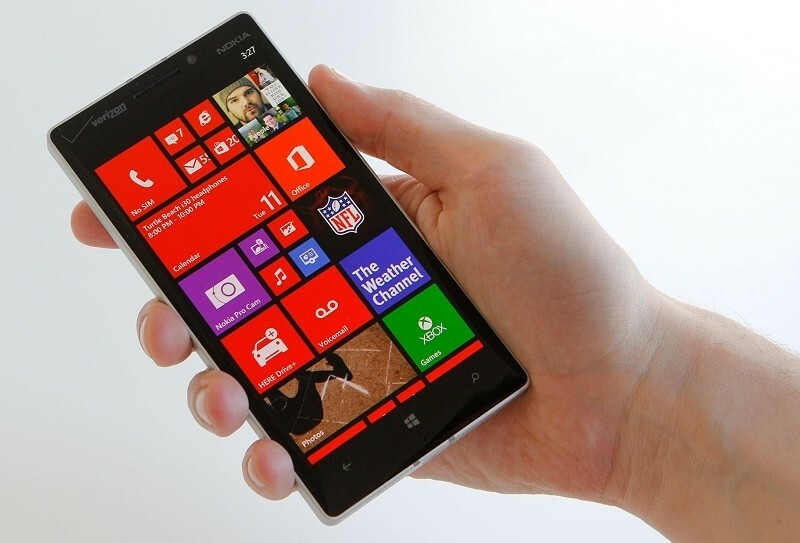 Nokia’s latest Windows Phone is now available for pre-order as a Verizon exclusive. Known as the Lumia Icon, the company’s new flagship handset is a sensible departure from the massive display found on the Lumia 1520 and includes a couple of other noteworthy revisions to boot. It all starts with a smaller 5-inch OLED display with Nokia’s ClearBlack technology that operates at a resolution of 1,920 x 1,080 – a combination that provides a pixel density of 441 pixels per inch. The panel boasts up to 500 nits when exposed to bright light and is covered by Gorilla Glass 3. Technology from Synaptics allows the touchscreen to function even when the user is wearing gloves. Under the hood is a quad-core Qualcomm Snapdragon 800 clocked at 2.2GHz, 2GB of system memory and 32GB of onboard flash storage. There’s no expandable storage but the phone does ship with 7GB of free OneDrive (formerly SkyDrive) cloud storage should you need more space. Other features include 4G LTE connectivity, a 2,420mAh battery, Bluetooth 4.0, NFC and wireless charging but above all else, the smartphone’s rear PureView camera may be the deciding factor for many buyers. The Icon features a 20-megapixel sensor with optical stabilization, an f/2.4 Zeiss lens and two LED flashes. Four microphones are said to capture top-quality audio when recording 1080p videos at 30 frames per second. Verizon is now accepting pre-orders for the handset in white and black which will launch on February 20. Expect to pay $200 with a two-year service agreement.